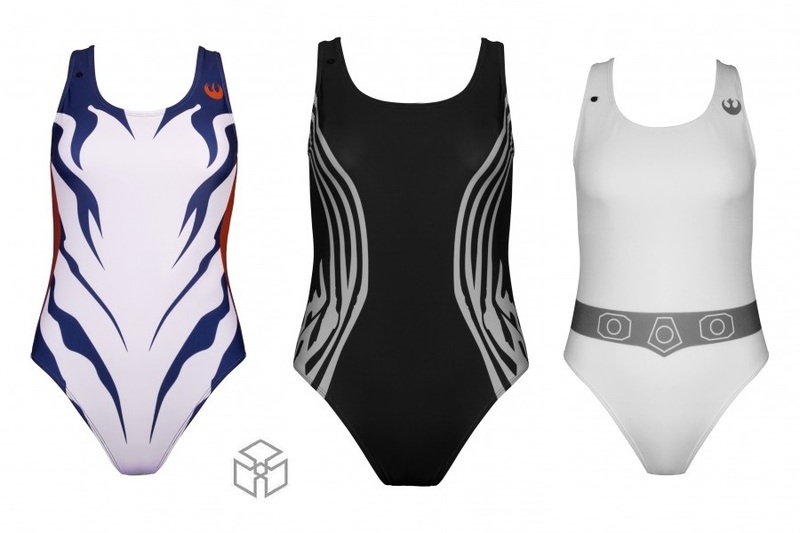 The women’s Musterbrand x Star Wars swimwear collection has launched! 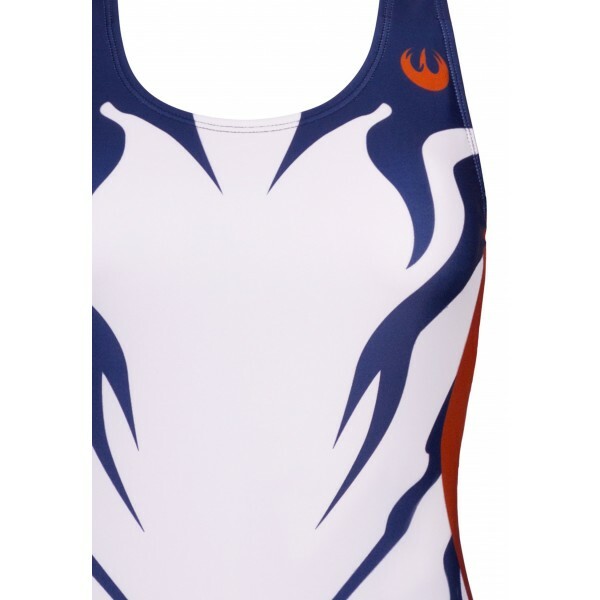 The range includes four women’s one-piece style swimsuits, featuring ‘everyday cosplay’ style designs inspired by Princess Leia, Ahsoka Tano, Rebel Pilot, and Kylo Ren. 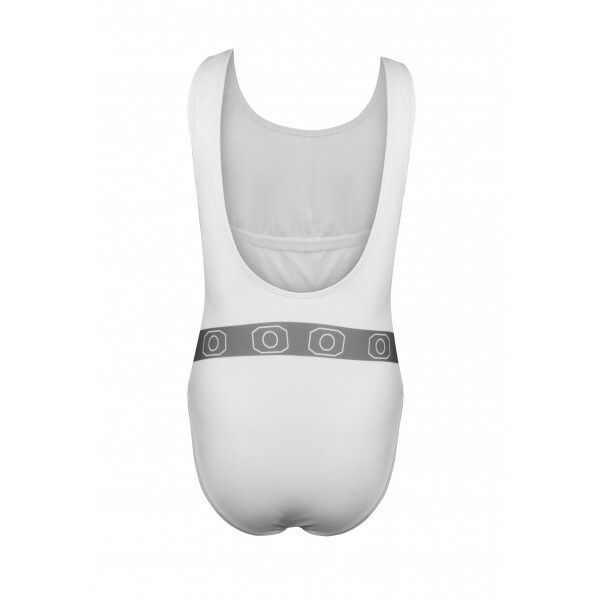 Each swimsuit is fully lined, and include removable cup-inserts. 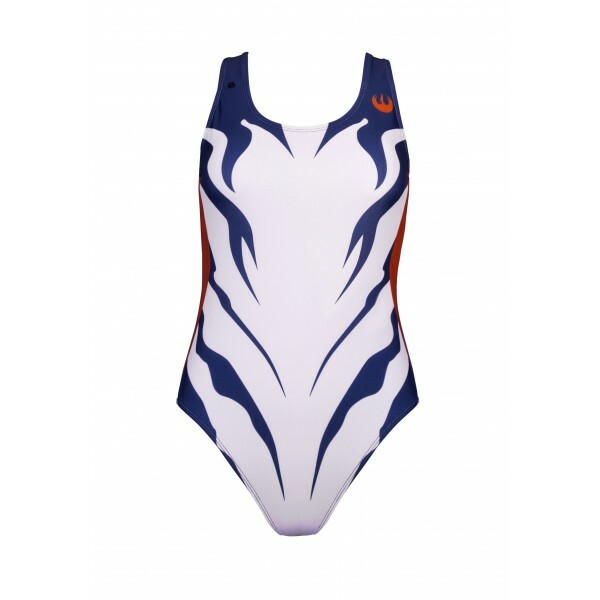 Available in sizes XS to XXL, the swimsuits are priced at €49.00 each (approximately US$60.57 each). Musterbrand can ship internationally, which is great! Musterbrand has also mentioned that the swimwear will also be available soon from US retailer ThinkGeek, which is great for US/Canada fans! 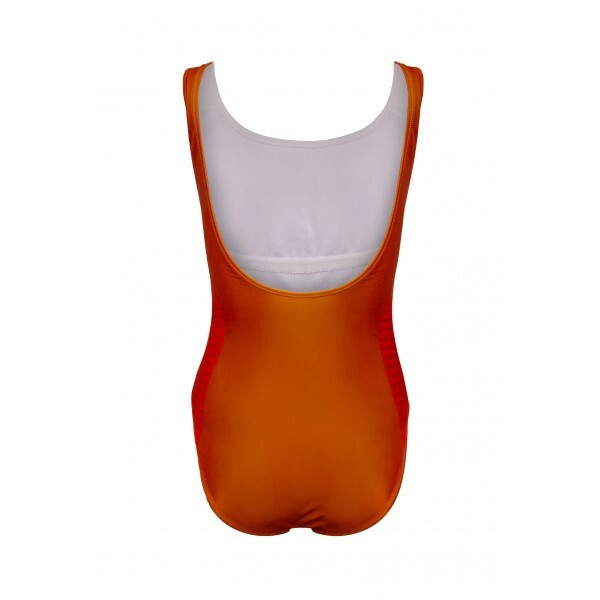 The simple and elegant one-piece swimsuit is an adaptation of Leia Organa’s outfit in the opening of Episode IV. 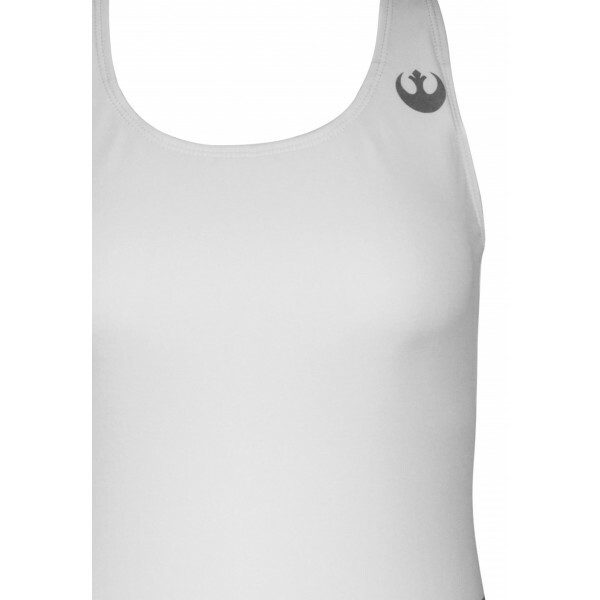 Subtle details like the Rebel Alliance Crest, however, will show your true allegiance. 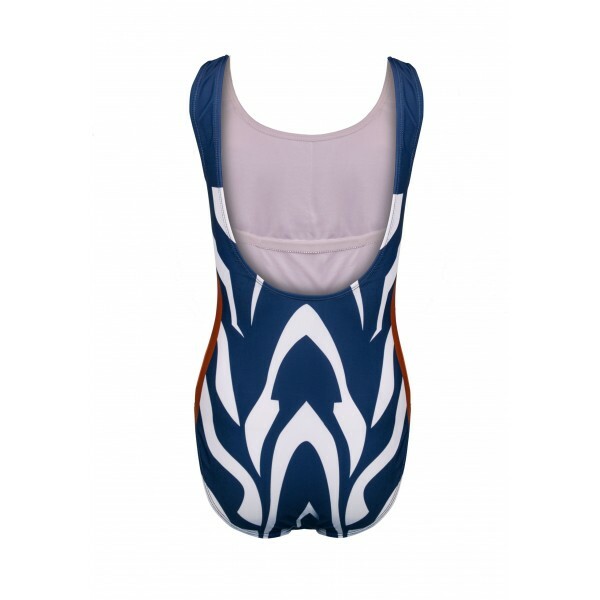 The elegant one-piece swimsuit with dashy colours based on Ahsoka Tano’s look in Star Wars – The Clone Wars and Rebels. Prints of Ahsoka’s stripes and colours clearly mark you as a fan of the infamous grey Jedi. 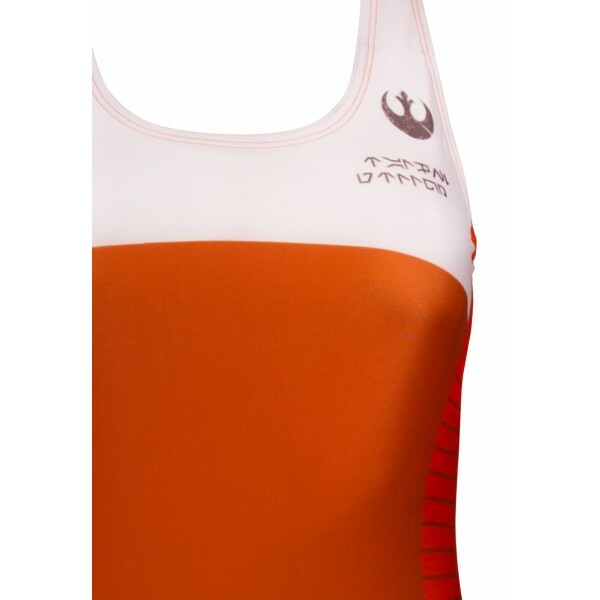 The elegant one-piece swimsuit with dashy colours based on Rebel Pilot uniforms in Star Wars. 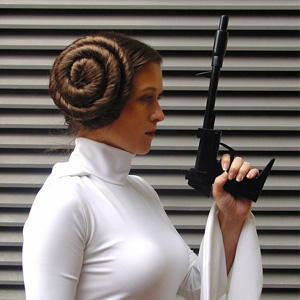 Pattern prints and the Rebel Alliance badge clearly indicate which side you pledged your allegiance to. 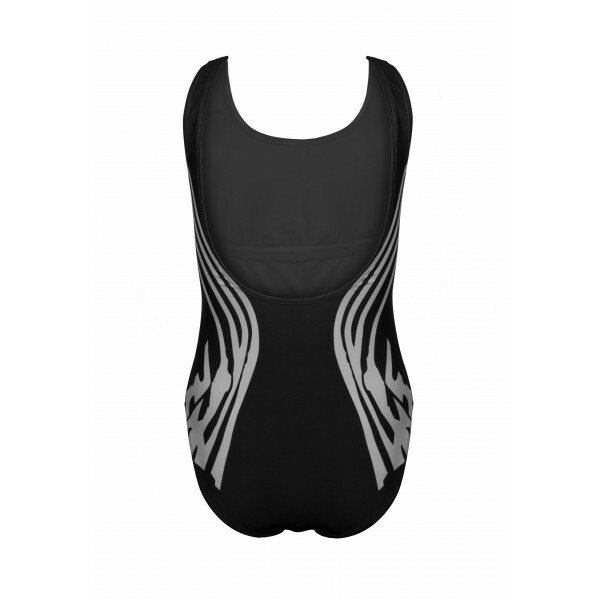 The simple and elegant one-piece swimsuit is an adaptation of Kylo Ren’s outfit in Episode VII and VIII. 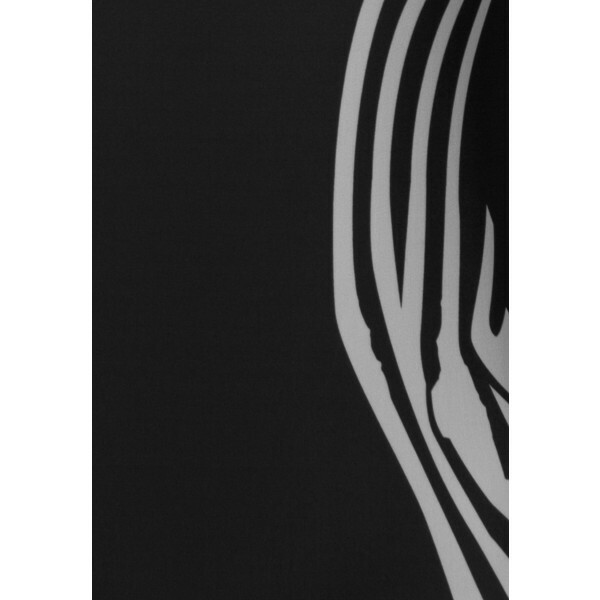 The prints on the side show Kylo’s iconic face-mask.